Officers from Met's South West Command Unit, along with Assistant Commissioner Mark Simmons, target those involved in drug dealing as part of early morning warrants in Kingston and Surrey. Earlier this morning (Wednesday, 6 March), officers from the Met’s South West Basic Command Unit (BCU), along with Assistant Commissioner Mark Simmons, executed 13 warrants at residential properties in the borough of Kingston and Surrey as part of a commitment to tackle drug dealing and anti-social behaviour. The warrants were at addresses across Kingston and New Malden. In total, 15 people have been arrested for offences including possession with intent to supply class A and B drugs, possession of a stun gun and burglary. They have been taken to south London police stations where they remain in custody at this time. As part of the operation (Operation Eskimo), £10,000 in cash, a large quantity of drugs and a stun gun were also seized. Assistant Commissioner Mark Simmons, who joined the warrants this morning, said: "Operations like this are vital in disrupting criminal activity, suppressing violent crime and ensuring the safety of local communities. “No one should profit from the misery that drug dealing brings, especially those that seek to exploit children into the mix as well. I thank all officers who worked hard today to carry out these warrants and remove these drugs and weapons from our streets. “We will deal robustly with those who seek to peddle drugs, exploit young people and target the most vulnerable within our communities for the sole purpose of financial gain; often instigating violent acts and placing young people at risk of harm and criminalisation in the process. South West BCU Commander, Chief Superintendent Sally Benatar, said: “We are committed to tackling drug dealing and associated violence in South West London and today’s action is the arrest phase of a proactive operation that we have been planning for several months. “Drug dealing and drug use are inextricably linked with a high proportion of the violence that we have seen on our streets. 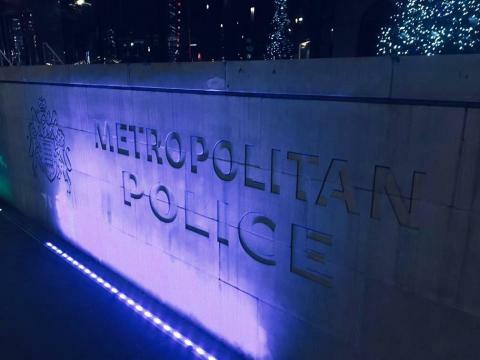 Officers from all across the Met are committed to tackling violent crime of any nature, but we cannot do it alone. We need the support of our residents in South West London to tell us about crime and anti-social behaviour in their neighbourhoods – you are our eyes and ears. To call Crimestoppers, call 0800 555 111 or visit their website: www.crimestoppers-uk.org/give-information. Young people can visit their youth website “Fearless” for advice and to pass on information anonymously. If you need help or information to support someone you suspect is involved in knife crime, or you want to assistance yourself, then you can visit www.knifefree.co.uk or www.london.gov.uk/content/london-needs-you-alive.